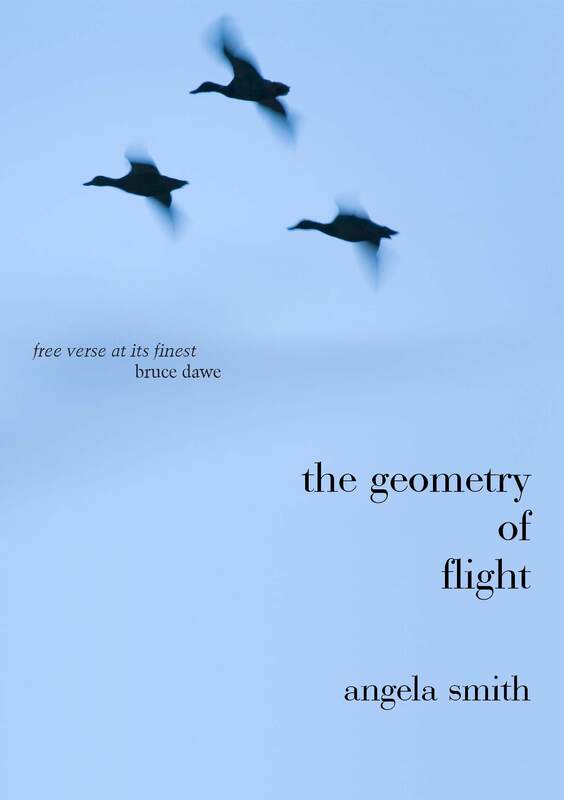 In naming her poetry collection The Geometry of Flight Angela Smith, like Indiana Jones in The Last Crusade, ‘chose wisely’. More wisely, more selflessly, than perhaps she realised. 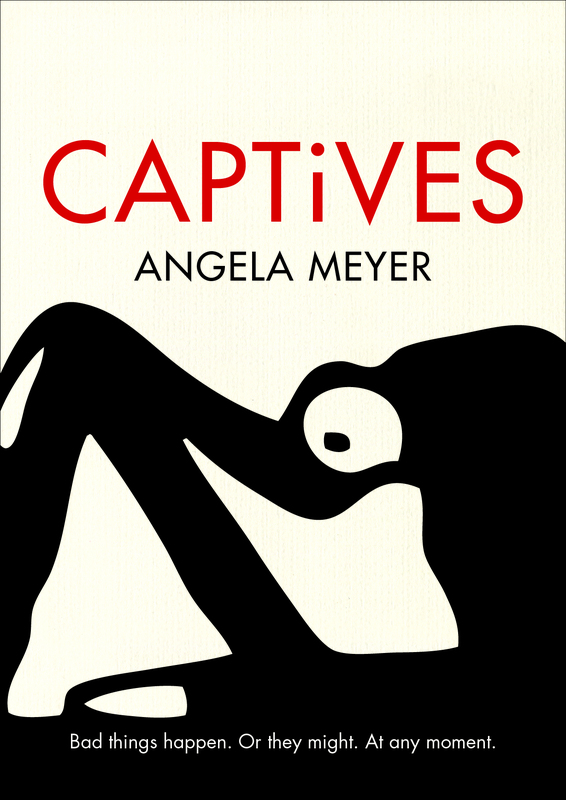 She has given multiple doorways to her work with the single phrase: porticos that set the reader’s path through the work, paths that perhaps she hadn’t intended for travel. Three are significant, from where I stand. has the spirit. It’s in the halting rhythms of ‘Sunday’ and in the whole ‘Poem for Paul’. However, in Jamesian syntax it doesn’t always ‘come off’, becomes sometimes a mannerism and as if a haiku distended beyond its formal limits – ‘Night Watch’, for instance. the exquisite anaesthesia of sleep. Nothing egregious here, but one wonders why it wasn’t written, for example: ‘Night. Old affairs, stale/ Rehearsing past potential./ Sleep’s hypodermic’. The shorter remix shows what wasted space there is in the original. Smith has certainly caught her moment in one sense. The reader has such a scene brought instantly to mind. Surely, however, this is more to do with the cognitive encoding of the memory than the words of the poetry. You get the sense while reading it that, preserving only the to-fro dynamic, these lines could have been rearranged in any logical order without producing a change in the reader’s response. In other words, it’s a personal memory, for Smith perhaps, for the reader, but because it is simply a memory recalled, not further understood, the dialectic is a failure. It’s the poetic equivalent of a tourist’s Eiffel Tower snap. beside Jesus on the Cross. Like her father on the wall these stanzas hang side by side for contemplation rather than reliving. To some extent any artistic expression of the past must entail restraint – inorganic as that expression is – as it stands without the almost infinite set of variables operating in life. Here however there has been a deliberate making static of the memory. Nana is fixed in her chair, her father more explicitly treated pictorially – like Jesus to the Cross. Has Smith’s past been nailed in place to keep its unwelcome message apart? Perhaps too psychoanalytical. However, in the poems ‘Afterlife’, ‘Elizabeth Bishop’ and ‘Life Study: Robert Lowell’, almost encyclopaedia references to past poets; and above all in the sequence of cancer poems, ‘Night-side, a diary’, there is a sense that the poetry is serving as a tool delimiting rather than engaging with the past. Whether the past of an authorial persona or Smith herself is irrelevant – this is not a pop-psych reading of Smith but an aesthetic observation on the poems. At its best, with this technique Smith makes of her poems a sort of poetic icon, verbal equivalent of a Byzantine image intended for private devotion – ‘Sunday’ is one of these icons, and from the cancer sequence ‘My Father’s Bed’ and ‘Under the Knife’. The third portico is related to those encyclopaedia entries on past poets. It is also an entry into the work through solitariness, although here the poet is solitary because apparently working outside any other than a nascent tradition (N.B. the notes on the collection’s final page, which reference no poet born before 1900). Of course to refer to older poets isn’t a necessity. A poet who had never read anybody’s work could write excellent verse: but would the poetry be any worse had it been written with a conscious knowledge of other’s poetry and thought, had it been written with a taste informed by those others? So in ‘Mapping Memory’ the ‘drift of cello’, in a Parisian poem, might be a reference to Verlaine’s famous ‘sanglots longs des violons’, but if so it has performed no purpose within the poem. Or again the ‘Song for Rimbaud’ – Rimbaud was an excellent poet, but the poem can as well be enjoyed with no knowledge of him or his life, the young lover of Verlaine who abandoned poetry to become a gun-runner. To return to the biography poems, do we understand anything more about Plath, about Bishop, or about Lowell, after reading these? ‘Poem for Paul’ is better, though more concerned with a cinema-still old poet than with an appreciation of his work. The poems, while they have positive aspects in the technical detail, avoid any interpretation of the poets invoked, prefer to deal in postcard portraits of their features. This, as with the personal memories, might not be a bad thing. It’s up to the reader’s taste. The poetry in The Geometry of Flight is often good, it is technically proficient – the description of it on the back as ‘free verse at its finest’ is allowable hyperbole – but at heart it’s a coterie work. Like the Verdurin faithful in Proust’s novel talking constantly over themselves, Smith is writing postcards to close friends. A poem criticising George Bush, now, in 2010? ‘A poet’s fire is hardly ever friendly’? This is the verse of the financially secure, who doesn’t need a patron’s money. (Beethoven’s story of Goethe bowing low to the Holy Roman Emperor, Martial’s begging poems). It’s not Smith’s fault, as the ‘Best Australian Poetry of 2000-and-whenever’ will demonstrate. All very skilfully put together, often with signs of a good ear for rhythm and sound effects – but sometimes I just wish someone would open the windows on Australian poetry and let in some fresh air. Greg Westenberg is a Sydney-based aspiring writer, whose reviews have appeared in Cordite and Blue Dog. It is his ambition to one day be taxed for writing.